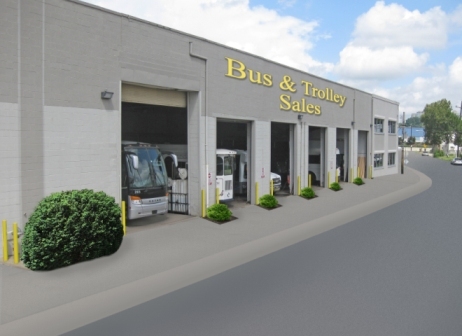 Thank you for visiting www.busandtrolleysales.com We offer new and used buses and trolleys nation-wide, including Starcraft, Glaval, Federal coach, Krystal's motor coaches, motor coach conversions, wheelchair buses, church buses, school buses and more. We have dealers from coast-to-coast, so we offer a search-by-region option, to help you find the vehicle that's best for you. If you don't see your perfect vehicle listed, contact us and we will find it for you. Our mission is to find you great value for a great price. Our state-of-the-art maintenance facility and offices are located in Philadelphia, PA, right along the Schuylkill River. Our property includes an 18,000 square foot maintenance facility, which includes an eight bay garage and employs 14 highly trained mechanics. The building sits on a 6.5 acre property with a four acre paved parking lot. Just one of the beautifully restored buses you will find at The Museum of Bus Transportation. — at Museum of Bus Transportation. We could really use your help with some important feedback regarding our website. Please help us by completing the 6 question survey we have created in order to serve you better!